Voting for the second phase the Lok Sabha election 2019 has started. Several prominent candidates are in poll fray this time, including former Union ministers Jitendra Singh, Jual Oram, Sadananda Gowda and Pon Radhakrishnan, and former Prime Minister HD Deve Gowda. Total 11 states and a UT will go to polls in the second phase, with Tamil Nadu holding polls on all Lok Sabha seats, except Vellore. 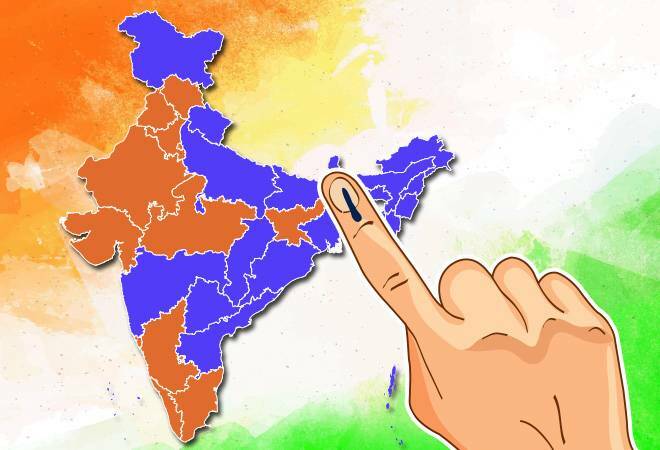 A total of 1,644 candidates were in the fray for 97 Lok Sabha constituencies but the Election Commission cancelled polls in Tamil Nadu's Vellore over the excessive use of money power and postponed polls in Tripura east to April 23. Among all candidates contesting polls in phase two, as many as 251 have criminal cases registered against them, including 167 with serious criminal records. A total of 423 crorepatis are contesting polls in phase two, and the average assets of all candidates are around Rs 3.9 crore. The Lok Sabha Elections 2019 will be conducted across the country in seven phases. The first phase of polls were held on April 11 when 20 states and two UT went for polls. The third, fourth, fifth, sixth and seventh phases will witness citizens voting for 115, 71, 51, 59, 59 seats, respectively.